Romance is well and truly alive in Shakespeare's England! Romance your loved one in the beautiful and romantic setting of Shakespeare's England over the Valentine's weekend. Book into a luxury country house hotel, enjoy champagne teas and wine-tasting sessions, listen to sonnets and love scenes from Romeo & Juliet, wander around snowdrop gardens, make your own unique perfume or cologne, stroll along picturesque streets or simply relax over a romantic candle-lit dinner. See a performance by Emma Johnson and Mozart's Clarinet Concerto at Stratford Artshouse on Tuesday 16 February. Emma Johnson is one of the most successful clarinettists in the country and the combination of her artistry with Mozart's genius makes for a very special performance, complemented by a performance of the Haydn Concerto for 2 Flutes. Tickets range from £9.50 to £26.50. Spend Valentine's at Tudor World in Stratford-upon-Avon in the company of Mr William Shakespeare walking along the quaint streets or cuddling up on a spooky ghost tour at night! The bard himself will present each lady with a rose. 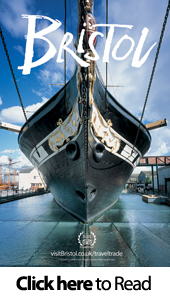 Walking tours cost £5.00pp and take place on Saturday 13 February. The spooky Museum Ghost tours take place at 6pm, 7pm, 8pm and 9pm on Saturday 13 February as well as 6pm on Sunday 14 February. Tours cost £7.50pp and also include a rose for each lady. Visit Shakespeare's Birthplace on 13 & 14 February where numbered stars have been hidden. Find them and watch the resident acting troupe, Shakespeare Aloud, perform the matching sonnet. Fall in love with their 10 minute version of Romeo and Juliet, performed regularly over the weekend. 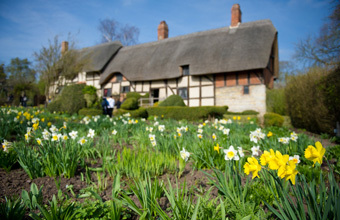 At Anne Hathaway's Cottage follow in the footsteps of the young poet, William Shakespeare, and woo your loved ones. Post your declarations of love in the special Valentine's Post Box which will be shared on Twitter for your sweetheart to read. Visit the Valentine's Tree at Hall's Croft and decorate it with your own love notes. Enjoy a romantic snowdrop weekend at Hill Close Gardens in Warwick on 6 & 7 February and explore the different varieties of snowdrops. Plus there is an indoor display where you can find out more information about the plants. The café and shop will be open serving delicious cake and hot & cold drinks. The cost is £4.00 for adults and £1.00 for children. Whisk your loved one off to Batsford Arboretum for a delicious breakfast in The Garden Terrace Café followed by a romantic stroll around the magical arboretum. Cost is £20 per couple. Join artisan distiller Judith from Shakespeare's Sister's Soap Company for an aromatic morning of bespoke perfume or cologne making on 21 February. Together you will go through the process of making a natural perfume using precious floral waters distilled in Stratford-upon-Avon, along with a fragrant array of exquisite-smelling essential oils, gums and resins to make an exclusive multi-layered scent. By the end of the day you will leave with a glass bottle of a unique perfume that you have safely created, plus a hand sized atomiser. Cost is £75 per person which includes fresh cakes and buns, tea and coffee. Take part in a fun night of tutored wine tasting for couples and friends at The Old Slaughterhouse in Stratford-upon-Avon on 12 February. Taste a selection of wines from around the world with the charismatic John Freeland of C.A Rookes Wine Merchants. The cost is £20 per person or £35 per couple. Learn how to make Valentine Love Knots & Countryman's Courting Favours with Artist, Rachel Harwood on 11 February. A great opportunity to make unique Valentines gifts! Cost is £20 per person, including refreshments. Enjoy a Valentine's Day Wine Tasting at Leamington Spa Art Gallery & Museum on Saturday 13 February. Join guests for an early evening wine tasting provided by Majestic Wine and explore the fantastic collections. Places are free but must be booked in advance. Dine at the Royal Shakespeare Company Rooftop Restaurant which offers unique views across the River Avon. Enjoy a 2 and 3-course romantic menu from Friday 12 - Sunday 14 February. The cost is £19.95 for 2-courses or £24.95 for 3-courses. Visit The Fleece Inn near Evesham for their popular Valentine's by Candlelight evening and dine by the open fires, with the pub lit by candles. Enjoy a 3-course menu, real ales and quality wines. For couples that want something a bit livelier then there's the chance to watch a band from Prince Edward Island in Canada who will perform in the barn. Tickets cost £15. Spend the weekend at the Mallory Court Hotel near Royal Leamington Spa with a 3-course lunch and glass of Prosecco in The Brasserie on 13 & 14 February for £29.50 or a 4-course dinner, coffee and a glass of Champagne for £45. Over in the Main House enjoy a romantic 5-course dinner, coffee and a glass of Champagne for £85 per person on 13 February. Extend your stay and enjoy a two night break with breakfast, bouquet of flowers, box of chocolates, 5-course tasting menu on one night including a glass of Champagne from £425 based on two people sharing. Offers valid from 12 - 14 February. The Falcon in Stratford-upon-Avon is offering a special package including a one night stay in a double/twin room, breakfast, 3-course dinner, bottle of Prosecco with dinner and chocolates in your room on arrival. Available from 11 - 14 February at a cost of £169 based on two people sharing. Enjoy a luxury weekend at The Welcombe Hotel in Stratford-upon-Avon. Spend two nights on 13 and 14 February with a 4-course dinner on the Saturday, flowers and chocolates, light entertainment throughout dinner, bottle of Champagne in your room and a spa treatment each. Cost is £510 per couple based in a double room, room upgrades are available. Get into the party spirit at Ardencote Manor with a Michael Buble Tribute Act on Saturday 13 February. Enjoy bucks fizz on arrival, a 4-course dinner, Michael Buble Tribute Act, David Bradley, disco, accommodation in a twin/double bedroom, full English breakfast, use of the leisure facilities and 10% off pre-booked Spa treatments for £199.00 per couple. Enjoy a romantic break at The Kings Hotel in the Cotswolds for two people including a one night stay, chocolates and half bottle of Champagne in your room, pre-dinner canapés, gourmet 6-course tasting menu and breakfast from £229 based on two people sharing. The dinner is available at £65 per person. Offers valid from 12 - 14 February. Head to The Arden Hotel in Shakespeare's Stratford-upon-Avon for a cosy break for two including a one night stay, bottle of Champagne, flowers and chocolates in your room, dinner in the Waterside Brasserie and breakfast from £340 based on two people sharing. Offer valid from 13 - 14 February. Or enjoy a romantic menu with options of sharing dishes, including a glass of fizz for £42.50 per person on Saturday 13 February. Stay at the 4 star Avonlea Guest House in the centre of Stratford-upon-Avon during February & March and enjoy 10% off the total price of any full priced booking. 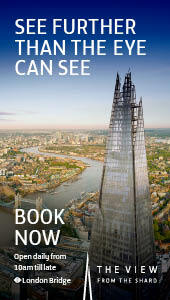 Or book any 3 nights including a Sunday and receive 50% off the standard rate on the Sunday night.